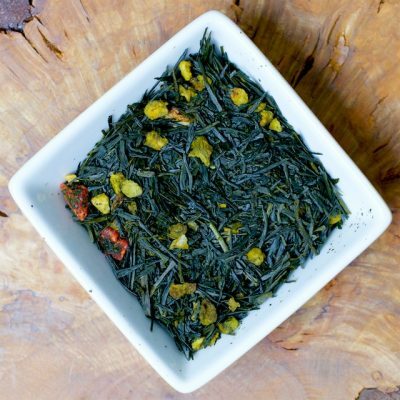 A Japanese Sencha flavored with natural strawberry and lemon–it is smooth and very summery! This makes a terrific cold steep tea and is a good thirst quencher. I enjoy it hot too–especially if it’s not so summery out and I want to change my mood.